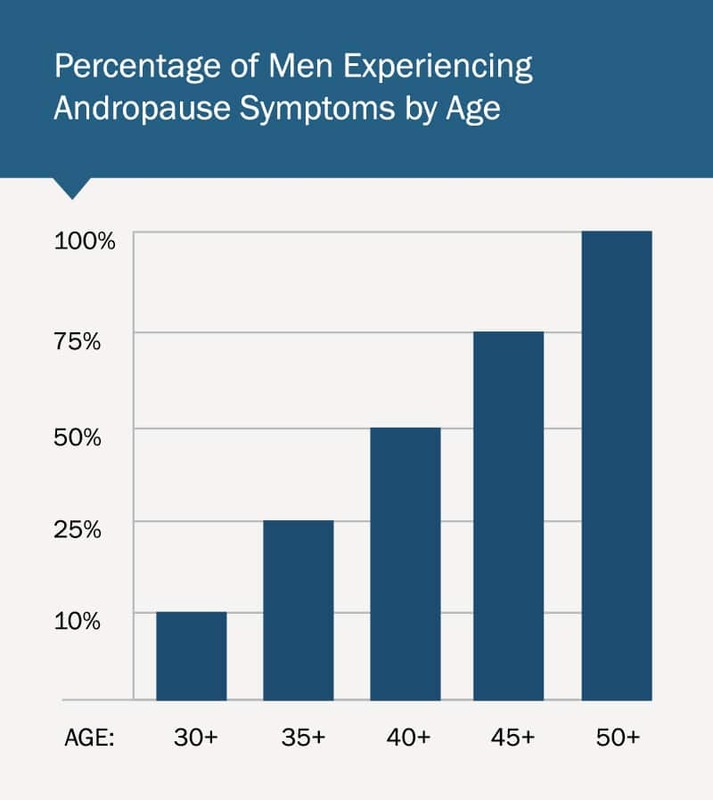 Keeping weight off becomes difficult during andropause. Trying to lose weight when your hormones are out of balance will feel like trying to push a heavy rock up a steep hill. The more out of balance your hormones become, the steeper the hill. Hormones control metabolism, and metabolism controls how efficiently your body burns calories. Hormones directly impact muscle condition. Even when you’re asleep, every pound of muscle you have burns 35 calories per day, while each pound of fat burns just 2. Hormones control your desire and willingness to be active by affecting your energy level. Hormones regulate your moods. Imbalanced hormones can result in depression. In turn, depression can cause overeating, fatigue, and a lack of motivation to be physically active. Our doctors will replace testosterone and thyroid if deficient, and control estrogen if elevated. We will encourage you to eat well, and watch refined carbohydrates. Refined carbs cause the body to release excess insulin. And excess insulin signals the body to add and retain weight. Eat whole, unprocessed foods as much as possible, and lots of protein. We will encourage you to establish a regular exercise routine. Physical activity burns calories, and revs up your metabolism. Balanced hormones will supply you with the energy and motivation you’ll need to stay active. We will provide support as you work to control stress, and our doctors will treat elevated cortisol or adrenal fatigue if necessary. Stress results in the production of excess cortisol. Excess cortisol signals the body to build and retain fat. Insufficient cortisol production—also known as adrenal fatigue—will produce the same result. We will offer other creative solutions as appropriate for you, like growth hormone therapy and injectable nutrients. Be patient. Start by letting us fix your hormones. Then pick obvious and manageable pieces of the total puzzle, and work on them until they become habit. Remember that everyone falls off the wagon from time-to-time. It’s those who persist that succeed. We have helped thousands of men to address weight gain, and we can help you, too. Let’s get you back to feeling like you again.